Remzi Ilyasov resigned from post of "Vice Speaker of Crimean Parliament"
"Vice Speaker" of the Kremlin-controlled Crimean parliament, Remzi Ilyasov, resigned, according to the information on website of the Crimean parliament. The "official" appealed to "Chairman of the State Council of the Republic of Crimea" Vladimir Konstantinov with a statement on early termination of office. Ilyasov did not explain the reasons for his resignation. “Remzi Ilyasov appealed to the Chairman of the State Council of the Republic of Crimea Vladimir Konstantinov with a statement on the early termination of his powers and his removal from office of the Republic of Crimea as the Deputy Chairman of the State Council of the Republic of Crimea, exercising his powers on a professional permanent basis, at his own request,” the statement said. 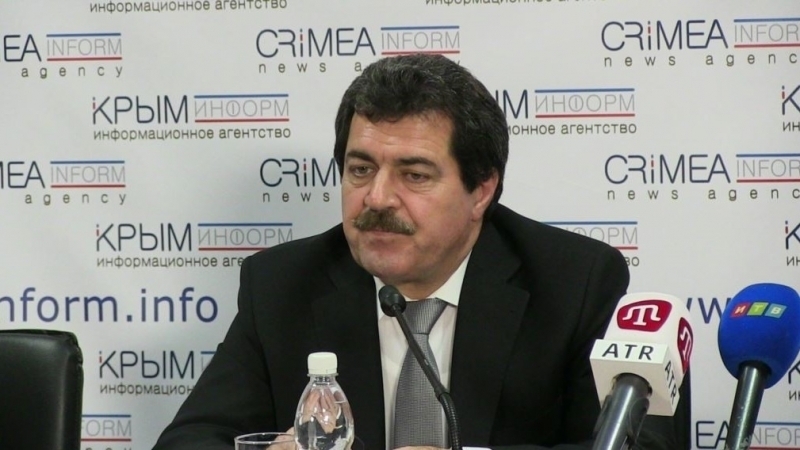 Earlier the Head of the Mejlis of the Crimean Tatar people Refat Chubarov also reported the resignation of Ilyasov on his Facebook page. Previously, Ilyasov invited the Prime Minister of Ukraine Volodymyr Groysman to the occupied Crimea, so that he could see how the peninsula was allegedly developing.